A panoramic view from the small beach next to the pier in Port Charlotte on the Rhinns of Islay. Loch Indaal lighthouse also visible in the distance. 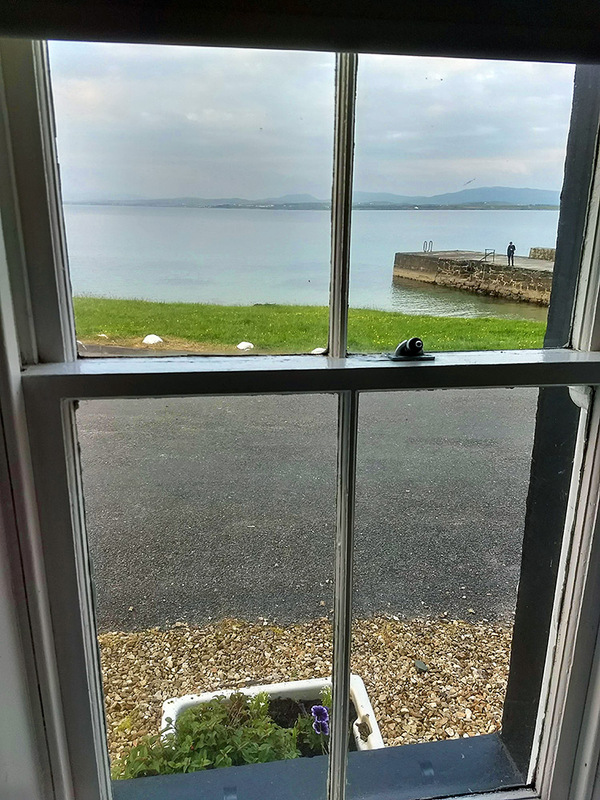 A view through a window in the Hedge Apartment in Port Charlotte, looking on to Loch Indaal and Port Charlotte pier.